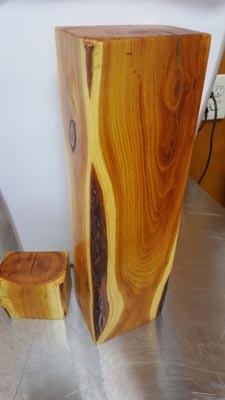 The dried wood yields the highest BTUs when burned as firewood. It’s “the closest to a piece of coal as you can get. Hedge Apples are thought to be an insect, spider, and mouse repellent if left in an area while still green. Many people swear by them. 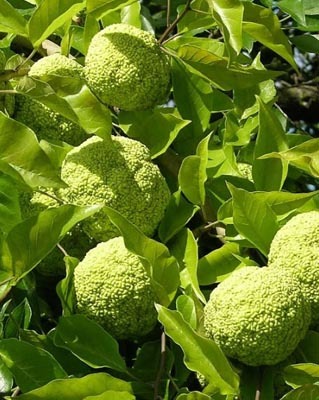 Hedge Ball - Osage Orange Oil is a rate oil used for lots of things.. 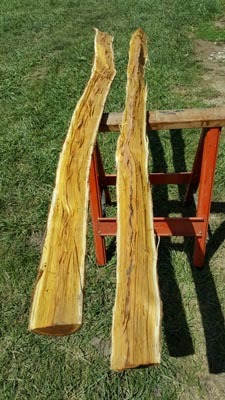 The wood is used to make musical instruments, artwork, and fancy pens because of its pretty yellow color. Burning the Hedge Apples makes all kinds of sparks and crackles, like a little fireworks display. Osage Oranges are in the Mulberry Family (Moraceae). 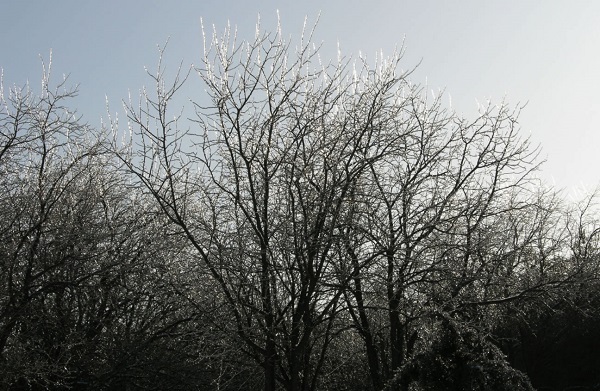 Most of them have milky sap like the Hedge Apple, but the bumelias and the Hedge Apple are the only thorny trees with milky sap in the Central and Eastern US. It is dioecius (having male and female plants), and you only get the Hedge Apples on the female tree. 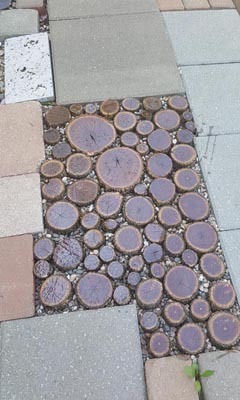 The bark is orange-brown with tight furrows. Hedge Apples have a lot of great nicknames: Hedge Balls, Horse Balls, Green Brains, Monkey Balls, and Mock Orange. It was planted to make cattle fences before the barbed wire boom in 1874. It was pruned “horse high, bull strong, and hog tight” to keep horses from jumping over, bulls from trudging through, and hogs from wiggling in. It has been used for primitive archery bows because of it’s strength, and the colloquial names Bodock or Bodarc come from the French bois d’arc, meaning bow. Boiling the wood chips yields yellow dye. .Highest in rot resistance wood without additives. Hedge wood is the closest to a piece of coal as you can get. Harps from Osage Orange because he believes it is the most dimensionally stable of all woods when aged and placed under strain. 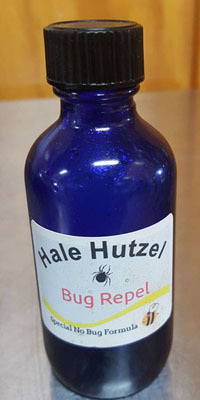 Folklore provides numerous claims that hedgeapples are repellent to insects and spiders. The fruit of the osage orange has been placed in households for ages. The Hedgeapple's average lifespan in an cool environment is 2-3 months. They can develop spots. .Average weight 1 LB.per Hedg Ball. The outside skin is similar to orange peels. Our Hedge Ball farm is located in southern Iowa . Our Trees are old and new. No chemicals are used on our trees. Copyright © MosesHedgeBalls.com. All rights reserved.